A Bobcat telehandler on show at a previous Open. 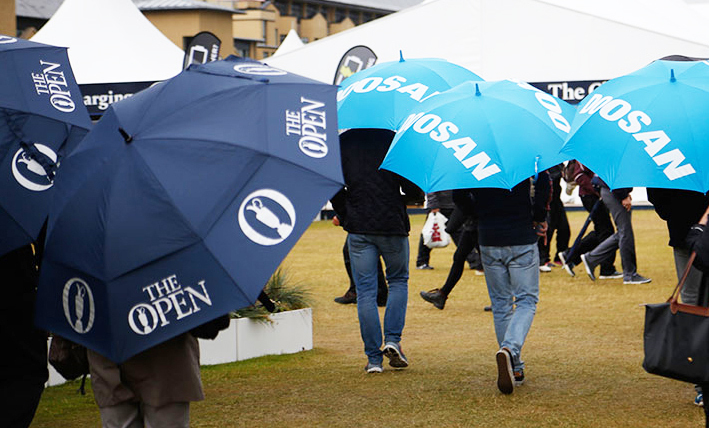 The Doosan brand is well to the fore in Scotland this week as the South Korean manufacturer continues its role as an official patron of The Open Championship. Doosan has an exhibition stand at the Royal Troon club to promote its construction equipment and other main businesses. Special buses bearing the group’s identity are also in evidence in and around the venue. The company said sponsorship of The Open has been “highly effective” in raising brand awareness. 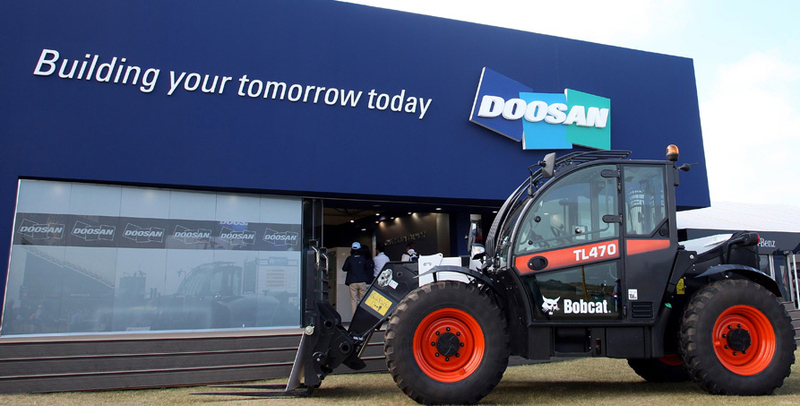 An analysis and research agency has assessed the monetary value of the exposure achieved by Doosan’s on-site signage on the teeing ground and other advertising via worldwide television coverage at around £8.5m every year. Last year, the championship was broadcast by 103 broadcasters to 505 million households. After signing the first sponsorship agreement in 2010, Doosan later agreed a five-year extension with The Royal & Ancient Golf Club until 2019.